A major mistake employers make is to try to understand what makes people different. 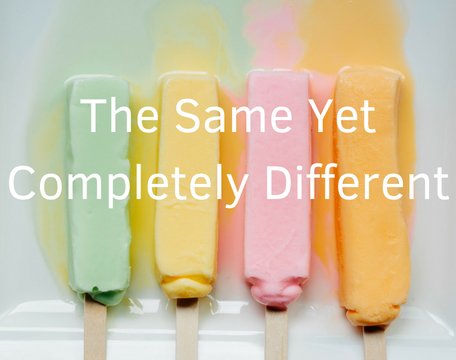 Spending resources on trying to make people understand those differences can be costing you a lot of money. Instead, focus on what people have in common. Sound familiar? How does a business retain valuable contributors to the cause, yet not coddle trouble-makers? Attracting and retaining employees is a key business challenge. 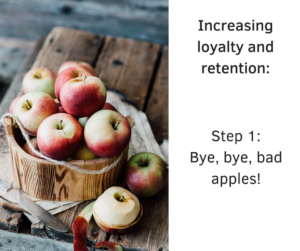 Retention isn’t cheap, but neither is employee turnover. The cost to replace a new employee varies based on the pay level of the employee. Companies typically pay about one-fifth of an employee’s salary to replace that person. With that in mind, it may be time to take a look at your business. Are you doing everything you can to retain the employees you want to keep? Encouraging natural teamwork is the only solution to longevity. To illustrate how this might look is to examine a fictional workplace. Let us call it Casper Enterprises. Casper is a design build general contracting firm that has grown through a strong reputation. They are known for a high quality delivered final product. Casper employs all types of people from architects to administrative staff, from masons to wood workers, from sales staff to glaziers. You might assume that all the trades people spend off-the-clock time with each other. Most are about the same age and have the same general talents. They also spend a lot of time together while working on a customer order. Likewise, the office staff is efficient, but they also have fun while answering the phones and helping customers. It is safe to assume that they are good friends after hours. Finally, sales people are outgoing (right? ), so one might assume that the sales staff gets together after work to exchange war stories about their day. In reality, the top sales person, Janet, age 29, is an analyst type personality and enjoys painting furniture for miniature dollhouses as a way to destress. She gravitates toward people like the bookkeeper, Lois, age 65, who runs numbers all day and at night creates scrapbooks about her grandchildren. In this situation, both of them watch a lot of movies at home and enjoy lunch breaks together talking about their favorite scenes and lines. Don’t get me started about the Academy Awards! After work once a week, Dave, the lead Architect, age 45, meets up with Damon, age 59, the carpenter responsible for finish work on customer cabinets and countertops. Dave is married, caucasian, kids in college, and Damon is divorced, African American, with no kids. But they both like to go bowling and come from the same hometown. Who’d have known? Employees don’t look for a way to connect to those who do the same job as they do. To begin with, they look to befriend (and mentor or be mentored by) those who can relate to them outside of work. Finding the common threads that run through your staff can contribute to an environment that fosters teamwork and high customer satisfaction. In truth, age, gender, skin color, and other demographics, play a lesser role in how a group of people interact, than the interests, backgrounds, and experience of those same people. Letting go of bad apples. As an employer, your job is to foster the type of environment where people are supported in their quest to do a good job. Providing the right equipment, enforcing proper procedures and protocol, examining future opportunities, offering workspace conducive to efficiency and productivity; these are all elements of an equation that lead to retention. Once in a while (or maybe more often?) a staff member has a hard time fitting in. People react to this differently. Some eventually find their niche. But not always. Maybe there is a staff member who complains a lot, exudes a somewhat negative aura, or asks for more than everyone else yet produces less. In most cases, if you are providing the proper tools and environment, the problem belongs to them and not you. You are not responsible for making everyone happy. You are responsible for providing a means by which people make their livelihood. By coddling these types of employees, you are risking losing all the other staff who work hard for you and your company. Be stern but gentle with these “complainers” and follow your policies consistently. Give them opportunity to adjust and find their place. If they do not, you need to ask them to leave. Your staff will respect you and appreciate that you are not allowing a bad apple to enter the peck. Loyalty is out. Impact is in. The staff at Casper is successful in growing the business because they feel as though they belong to a higher purpose. Owners have encouraged individuals to grow personally and offer a mentor-like scenario between them and all staff. Everyone feels like the favorite. In essence, those staff members are “fulfilled” to a degree, as a human, since we all want to belong and feel appreciated. Most importantly, knowing that their employer is interested in their growth and approaches situations as a leader of a team makes it easier and more likely that they will in turn treat others the same way. Deloitte published their annual Millennial Survey earlier this year and found a stunning result: forty-three percent of millennials surveyed anticipate leaving their jobs within two years. Barely over a 25 percent expect to stay longer than five years. Employed Generation Z survey respondents indicate that they would leave within two years if given the choice. Why is this? The main reason is that they are not filling “fulfilled” as described earlier. Here is another key point. Millennials believe that ethics belong in business and that there is a disconnect between how businesses should behave and how they actually do behave. They are looking at companies not only as places of employment but also as forces who have an impact on the wider society. Sadly, only 48 percent of respondents in the Deloitte study believe that companies behave ethically. This is due to inconsistent application of policy and procedure, as well as a lack of a system of checks and balances. To put it another way, it is your fault, not theirs. All employees, regardless of generation, identify poor communication as a reason for leaving a job. Whether that is communication on job performance or specific to the company as a whole, it is a key component of retaining employees. Poor communication makes staff feel like they are not being heard, and they are probably right. They want to be valued and being ignored doesn’t cut it anymore. Read our blog Communication Increases Employee Retention for more information on the importance of communication. 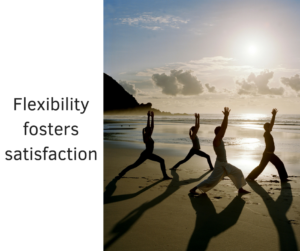 What does flexibility look like in the workforce? Give credence to a flexible work environment. Remember that Millennials state they want flexibility in their hours and the location from where they work. We must aim this retention step at all generations. Technology has paved the way for workers to unplug or become location independent and people are looking for ways to increase flexibility. This remains a critical component for millennials with a third (34 percent) leaving a job because of lack of flexibility. On the positive side, if a small amount of time management on your part increases efficiency and productivity on their part, it is worth it. In turn, that effort makes your staff feel like you value their home life. Evaluating and implementing workplace policies that benefit workers of all generations and help increase employee retention is more than just a nice thing to do. A stable workforce, with minimal employee turnover based on better benefits and flexible workplace policies, also makes good business sense. Cultivating the best environment for them can result in significant cost savings to you. Provide constant learning and training opportunities to help employees improve their job performance and contribution. Millennials regularly evaluate whether they will develop professionally more by staying at their current job or leaving for a new one. By the way, this is true of all employees, not just millennials.